Dallas Cowboys were once hailed as the sportsbook online frontrunners in the NFC East. This was largely in part to the eyebrow-raising season the franchise delivered last year. Most players who bet NFL online figured that Dallas would pick up right where it left off. But that hasn’t been the case as the Cowboys have struggled to post a winning record this season. Furthermore, while the team may be sitting at 3-3, Dallas hasn’t been able to earn any quality wins this season. This Sunday, they’ll be traveling to Washington to take on their longtime rivals. 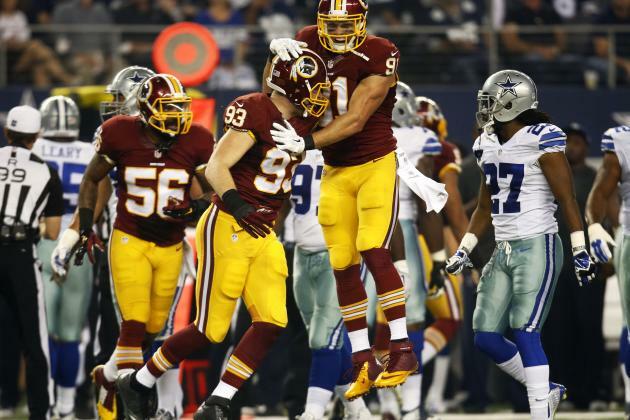 A win against the Redskins might finally give the Cowboys that ‘quality win’ that has so far eluded their grasp. What do US sportsbooks have to say about America’s Team’s chances against the team from America’s capitol? The Cowboys 3-3 record ranks them 2nd in the NFC East behind the 6-1 Philadelphia Eagles. Rather, Dallas’ record ties them with the 3-3 Redskins for the No. 2 spot in the division. Washington had an opportunity to get one up over Philadelphia this past Monday night but failed to get the job done as Carson Wentz drove his team to another clutch victory. If the Cowboys can beat the Redskins this Sunday, they’ll become the top sportsbook frontrunners to usurp the Eagles in the divisional race. If they can’t, they might as well kiss their playoff chances down the drain. Cowboys fans came into the workplace this past Monday riled up as ever, due to the fact that Dallas was able to deliver a 40-10 beating to the San Francisco 49ers. But having this much joy over picking up a win over a winless team is a sign that things aren’t going well for the Cowboys. From off the field issues with Ezekiel Elliott that just don’t seem to go away, to a defense that is more inconsistent than any other in the division, the Cowboys haven’t been able to hit their stride this season. We saw a little bit of that this past weekend, when Dallas’ running game took it to San Francisco. If America’s Team can maintain that momentum, they’ll be playoff contenders for sure. If they can’t, the only news coming out of Dallas will be Jerry Jones’ latest gregarious comments regarding the anthem protests. The Redskins are 3-3 and 2 of those losses have come against the Philadelphia Eagles. Washington’s third loss of the year has come at the hands of the Kansas City Chiefs. So while their record doesn’t exactly scream elite, the Redskins aren’t getting beat by bad teams. But Washington only has wins over the Los Angeles Rams, the Oakland Raiders, and the San Francisco 49ers this season, so they could use a quality win themselves. One has to wonder if contract issues with quarterback Kirk Cousins has had some impact on the team’s ability to come up big in the clutch. Top sportsbooks are siding with Dallas on this one, which is a surprise considering that Washington is 2-1 at home in 2017. Washington enters this Week 8 matchup sporting the NFL’s 11th best scoring offense and 8th best total offense. This Sunday, they’ll be competing against a defense that ranks 22nd in scoring and 17th in total yards allowed. The key to a Washington victory will be an early lead.